UNREQUITED consists of two parts. The first half of the performance will have the story of Shiva and Sati’s love shared through the course of a Traditional Varnam. ‘Swami Naan undan Adimai” in Nattakurinji. The second half of the performance breaks down the emotive content to pure physicality and an inferred narrative that is not literal. 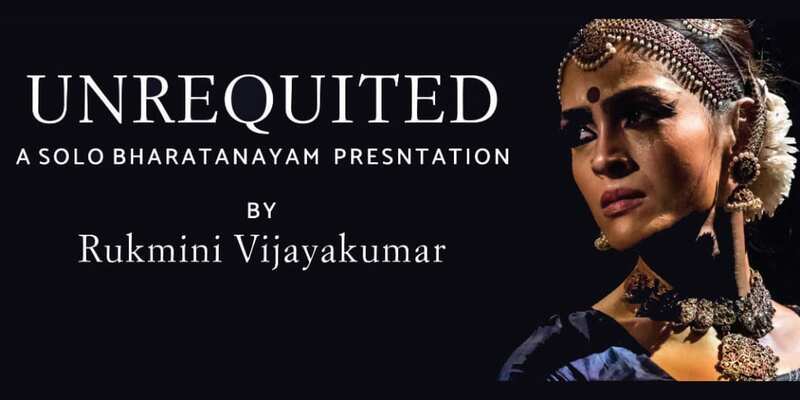 The performance utilizes the classical vocabulary of Bharatanatyam throughout the performance, but the context of usage is very different in the two halves. The same topic is explored through two very different and often opposing ideas of creation and presentation. The contemporary half of Unrequited was premiered at Korzo theater, The Hague in October 2018 and was well received. Would my tears be held at bay? ‘Unrequited', is inspired by the relationship between Shiva and Sati. A relationship that reflects the human complexities of love and marriage. Unrequited explores the bond of love. In a relationship there is an initial reticence, then a growing comfort that leads to expectations. When these are not met, there is hurt and an overwhelming feeling of loss when a promise is broken. When a loved one is lost, the grief is often so unbearable that the person left behind never recovers. Unrequited is the story of Shiva and Sati. The story of Shiva falling in love against his own will. The story of a love that blossoms into something so tender that Shiva cannot ignore it anymore. Shiva, reticent and unwilling to give of himself to any woman finally submits to Sati, giving of himself completely. Until one day, she is taken from him. 1. HighApe does not take any responsibility for the activities going on inside or outside the event. The entire responsibility of it is of the organizer/venue. 2. Venues/Organizers are solely responsible for the service; availability and quality of the events.